Join up if you're ready! It's been crazy at work this week, so I still haven't created my team, but I'll get around to it over the weekend. Radio Rangers are in! Should've gone with a fresh side, I suppose, but my love of the lizards brought me back for a run in BB2. All right, 4/8 teams are in, still waiting for J-R, Napoleon, Gnaarkill and Lars. Underworld sanitation and pest control experts of Dis Thing of Ours have signed in. The Khemri Astronauts are in. Butcher's Bay Pirates have signed in! Oh, and btw, totally missed that we have a new player. Welcome to our little obscure internet blood bowl corner Saitani! Always nice to get some fresh blood, I hope you will enjoy our league! Cool themes on all the teams this season. 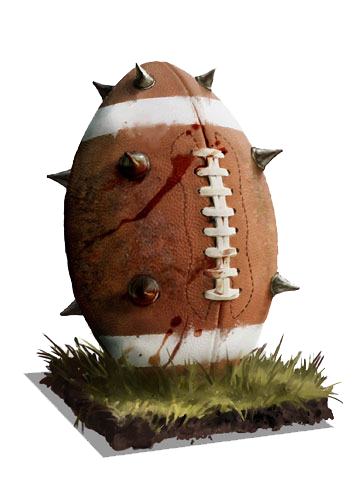 Starting to get a bad abstinens of blood bowl now, haha, let's get it on peeps! Time for a new season sign up? Could be! So I guess all teams that have played exactly one season are definitely allowed, but what should be the TV limit for older NUL teams? 1500 or so, maybe? Easy to bloat w Nurgle or Necro.